About half of San Jose’s fleet uses some form of alternative fuel, including its fleet of electric vehicles. 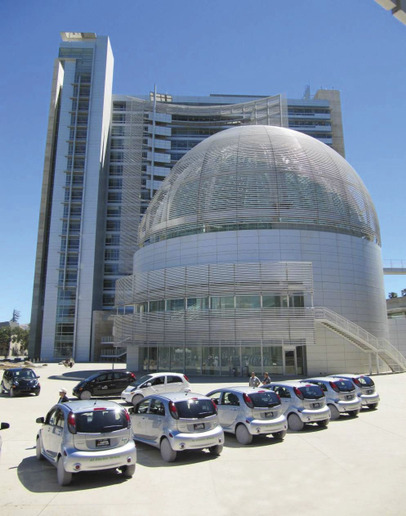 The City of San Jose sits at the heart of Silicon Valley in Northern California. It’s the Santa Clara County seat, one of the most affluent counties in the United States. But that doesn’t mean it wasn’t affected by the Great Recession. Fleet Manager Dan Sunseri talks about how the fleet is recovering, and the steps fleet management has taken since then to rebuild staffing, utilize data more effectively, improve its parts operation, and use telematics. Using telematics to study utilization, safety, and idling data. Sunseri attributes the fleet’s improved mechanic retention to its “fantastic” apprenticeship program. The program is a collaboration between the community college, the city, the state’s Department of Industrial Relations, and the local union. Nearly all mechanics start at the city as mechanic assistants, even if they have prior experience elsewhere. Mechanic assistants can apply for apprentice mechanic positions. The four-year apprenticeship program provides 6,000 hours of on-the-job training and a full curriculum of more than 20 classes. Graduates get a certificate from the union, a journey-level mechanic card from the state, and a promotion within the fleet department. The program allowed equipment maintenance supervisors David Mesa and Steven Brasil to continue recruiting people at entry-level positions, which was especially important as mechanics left for other opportunities or retired. While the current program has worked well and will continue, fleet management is working to reclassify mechanic positions to provide more paths for advancement, offer greater career opportunities, and continue to stabilize staffing levels. In recent years, fleet management set a goal to improve its multi-facility parts operation, which included exploring outsourcing options. Although this has worked for other organizations, fleet management instead improved its parts program through staffing changes and innovation. Under the leadership of Mario Razo, then mechanical parts supervisor, fleet management expanded parts staff from three people to five, hiring parts professionals from the private sector. They locked down the parts room, made sure all transactions were captured, and instituted a parts request module that’s integrated with the AssetWorks fleet management information system (FMIS). The system allows technicians to order parts directly from their workspaces, and it notifies technicians when those parts are available, or parts staff will bring the parts out to them, Sunseri said. In addition, using data to analyze and set min/max levels and have quality parts suppliers with sound agreements in place improved fill rates. One of the performance indicators fleet management tracks is shrinkage, and this year, the parts room recorded 0% shrinkage. Sunseri said having two IT staff members in fleet has been essential. These two staff members, Uyiosa Oviawe and Jonathan Pham, worked with the city’s IT department to create different tools using the FMIS. One of these is the police parking dashboard. Patrol vehicles are assigned certain beats, rather than with officers. Each vehicle has an assigned parking space, and the virtual dashboard allows officers to see how many and which vehicles are available for them to use. The data is captured and updated in real time through shop work orders and vehicle telematics. Once a work order is opened or if a vehicle is off-site, the dashboard shows the vehicle as not available. “Fleet staff used to manually log that activity and assign those cars. Resources are redirected to do more work on the shop floor,” Sunseri said. This program is an interface of more than three information technologies — FMIS, telematics, and a display software — and is an example of staff innovation to create operational efficiency, he added. The virtual whiteboard is another dashboard that replaces a traditional physical whiteboard staff members had to update manually with dry-erase pens. It shows vehicles that are in the shop, how many days it has been in the shop, the technician working on the vehicle, and its status. And as in the case of PD parking, the virtual whiteboard is updated automatically as work orders are open, work finished, or closed. Other dashboards include a central command dashboard and a lifecycle costing dashboard that shows where vehicles are in their lifecycle in terms of optimal replacement points. 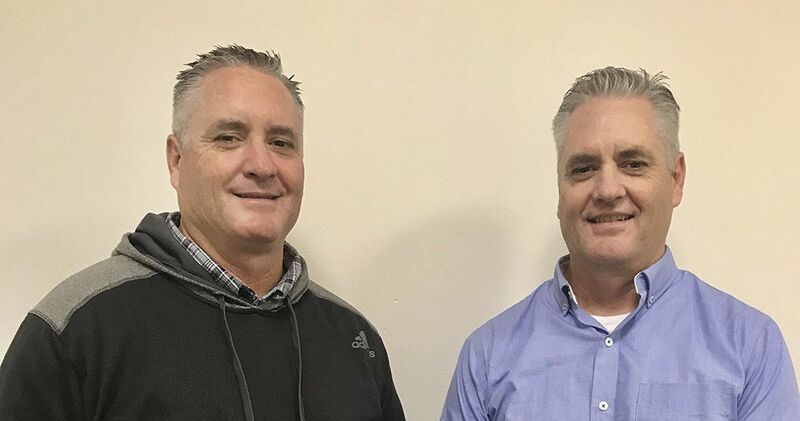 In the family: Dan Sunseri (right) worked with his twin brother until this year. Don Sunseri (left) was the fleet’s senior automotive equipment specialist. The brothers both reported to the deputy director of public works, and Don retired in August. San Jose has Verizon Connect telematics installed in 500 fleet vehicles. Dan Sunseri, fleet manager, said the information provided by telematics has allowed fleet management to measure idling, accurately track utilization, monitor vehicle performance, and view safety trends. “Let’s say a department has 80 vehicles, and it wants to add five more. It gives you the ability to look at the existing fleet size and how often the vehicles are used, and with data make much better decisions [based] on the true need,” he said. Telematics allows fleet management to avoid doing smog checks on the vehicles with the devices installed. San Jose is participating in the California Bureau of Automotive Repair’s (BAR) Continuous Testing Program. The devices continually send smog information to the BAR, and these vehicles don’t have to be tested. Location tracking has also proved to be useful. Recently, the city recovered a stolen truck trailer and mower with its telematics devices.